The world of real estate is highly saturated and full of competing agencies. The only way to stay ahead is to evolve with the developing market. How can you win more commercial real estate leads if you are doing the exact same thing that thousands of other professionals also do? Traditional, outbound marketing methods are becoming less effective as people are moving towards the internet for all their information and shopping requirements. Due to the higher volume of internet users, commercial real estate agents, who are trend-savvy, are benefiting from inbound marketing and successfully establishing business leads. Search engines crawl the web looking for fresh content. You may have content on your webpage, but it’s not fresh – and that is the candid truth about a website - you cannot update it every day or even every week. However the great news is, by writing a regular blog, you generate fresh content for search engines to discover, and in so doing, you create more opportunities for your content to be found. Every blog you write is like an additional page on your website. The more pages you have indexed by search engines, the more opportunities you have to generate more leads. Blogging enables you to submit innovative content that is trendy and relative, without having to rewrite your website. When you post a blog, it initially attracts a bundle of likes and shares before it fades into the background. When you post your next blog the same thing happens, but now, your first blog may get noticed again and garner more likes. Your next blog gets published and is liberally sprinkled with likes, while your two former blogs get rediscovered once more. The blog you write today could ideally compound and be viewed hundreds, if not thousands of times in the future. This type of compounded blog can result in successful leads years after it was first published. In fact, domain age is an important SEO factor. It means that the older a website is, the easier it is to rank. As more relevant and up-to-date information is becoming available for search engines, your blogs are updating and informing people about your real estate company. Successful blogging can be likened to building a house. Your foundation is made up of the search engine optimized (SEO) keywords that you use in your title and in your content. It’s these optimally used keywords that will help your post get discovered. Your structure is the information that you are relaying to the reader. Whether you are updating your estate agency’s statistics or reporting back on a community event that your real estate agents were involved in, your content is what the reader sees when they look at your house. Photographs add aesthetic appeal, like windows on your house; and truthful disclosure of your company’s principles will add an element of trust and friendliness, like open doors. Your roof is your call to action. Every blog that you post should have a call to action that will encourage your reader to become a lead. Invite them to visit and ‘like’ or ‘follow’ you on your social media pages. Give them the option to complete a form, with their details, in return for a monthly newsletter regarding real estate development or feedback on a real estate property that they may be interested in. Blog content fuels your social media and social media feeds your blog. Learning to use your blogs and your social media accounts to draw attention to your commercial real estate agency will ensure that your reads turn into leads. What would you say sets one real estate agency above another? Visibility? Reputation? What about Authority? One way for you to establish and promote your company in the above ways, without spending a fortune on formal advertising, would be to invest time and effort in establishing a solid inbound marketing presence. The best way to establish authority in your real estate company would be to enhance your reputation and your visibility, and this can all be done through blogging. Use your blog to answer frequently asked questions or update your readers about real estate trends. Imagine the favorable impression it would make if a reader recognizes the name and face of one of your agents on a blog post after seeing their smiling face on your realtor boards around town. It’s a great way to share relevant information. A Hubspot survey revealed that 60% of businesses who blog acquire more customers. It gives your agency a voice. It gives you an opportunity to share expertise and establish trust. It creates two-way conversations. Be sure to respond to comments or questions. It helps you define who you are and keeps you focused on your business plan. It gives you an opportunity to expand the awareness of your company’s philosophy, your agent’s values, and your business’ ideals. Blogs are a long term advertising investment that will continue to build awareness. It can give you an understanding of your readers. By using analytic software you can trace your visitor’s click-throughs. A blog that is relevant, is the key to success. A real estate agency's blog has a post about football sounds weird right? Relevance does not have to dictate mundane content though. You may be diverse in your relevance. Tips to make your home more marketable. Quick home improvement hints for busy people. Décor to make your house a home. 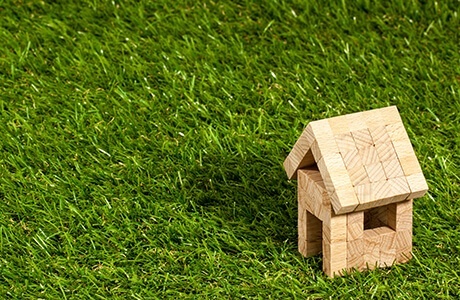 Expert advice before you rent out your property. Selling to emigrate? Here’s what you need to know. To blog or not to blog, is that really a question? There is overwhelming evidence to suggest that a successful commercial real estate business lies in your inbound marketing plan. Your blogs could be the bricks you use to build your stairway to success. Start a blog today and gain a lifetime leads generation source. 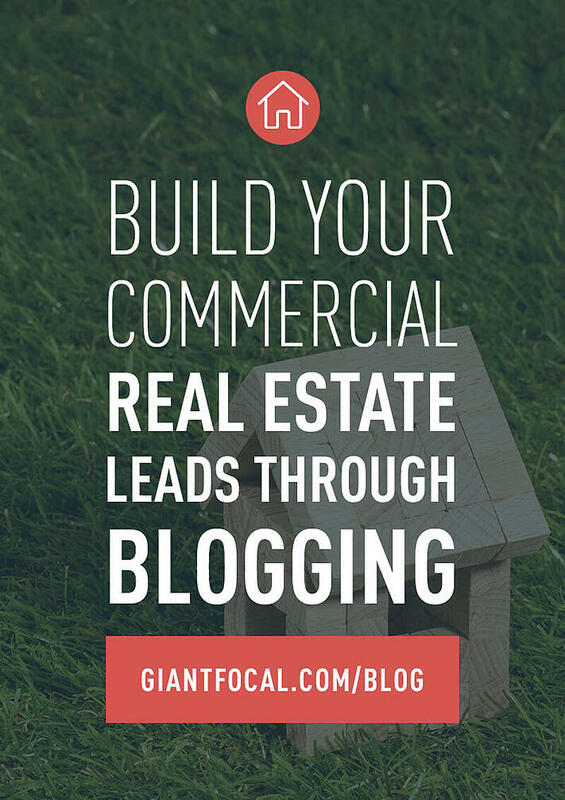 If you need help in building a great blog that will generate hundreds or even thousands of commercial real estate leads, schedule a call with me, and we can discuss about your next steps.